Timeline will show you all your past activities in Windows 10 and sync it across your devices. 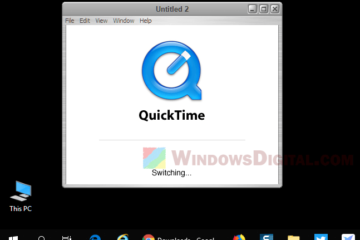 It allows you to return to any point of your past activities from the timeline and get back to the docs, webpages or apps you were working on. In order for Timeline to work, Microsoft has to gather information about what you do on your computer all the time. It actually sounds great, but to some people, it’s a privacy nightmare. 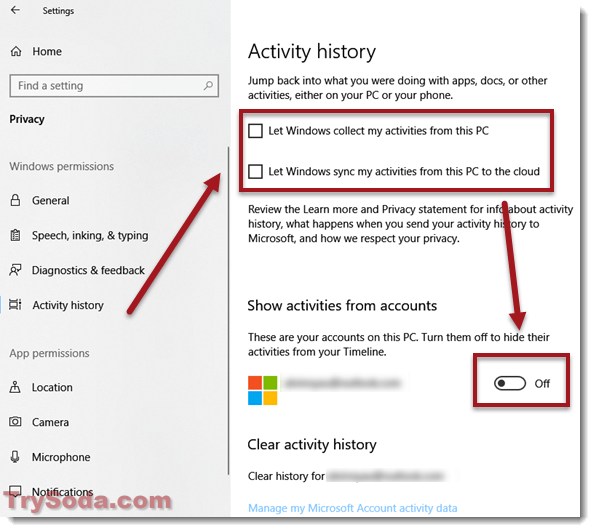 If you don’t feel like letting them to collect these info from you, you can disable the Timeline in Windows 10 by following the guide below. There is no obvious button to disable Timeline at once. What you can do is to stop Windows from collecting info of your activities from your PC. This will also stop Timeline from showing anything because no data can be collected from you anymore. Here’s how to do it. Go to Start Menu, then click on Settings (gear icon). Select Privacy from Windows settings. From the left pane, under Windows permissions, click on Activity history. 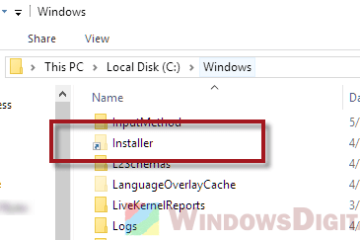 Uncheck the checkbox that reads Let Windows collect my activities from this PC. 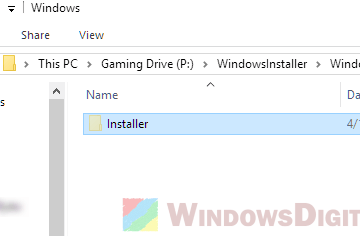 Alternatively, you can also disable Let Windows sync my activities from this PC to the cloud to stop Windows from syncing info to the cloud. Under Show activities from accounts, switch the toggle to off beside your outlook account. This will stop Windows from syncing your activities on the computer to your Microsoft’s account. If Windows has collected any info from you, there will be a Clear button in this window. Click on the Clear button to remove all activity history Windows has collected so far. If you want to also clear all your activity history Microsoft has collected from your Microsoft account so far, in the same window under Clear activity history, click on the Manage my Microsoft Account activity data. 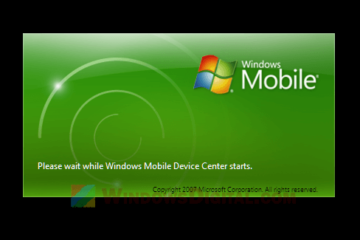 You will then be brought to your browser and prompted to login to your Microsoft account. Login to your account. 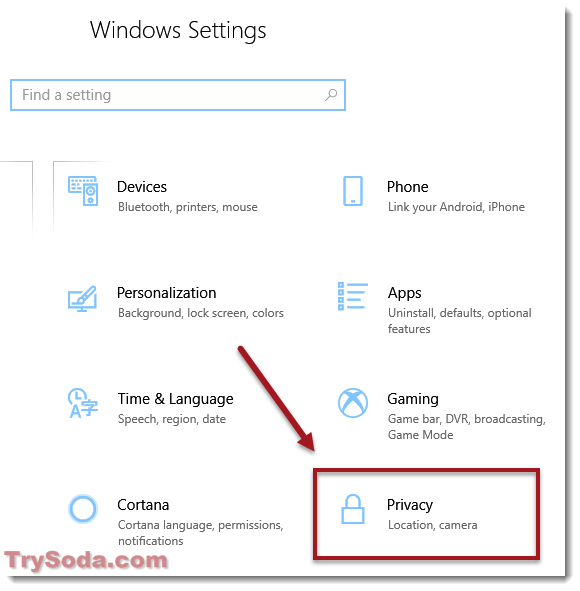 From the privacy setting page, you can view and clear your browsing history, search history, location activity, voice activity, Cortana data and your health activity. If you go to the Task View now, you should only be able to see your current activity (currently opened windows or apps) now. There will be nothing when you scroll back to the past in the Timeline. 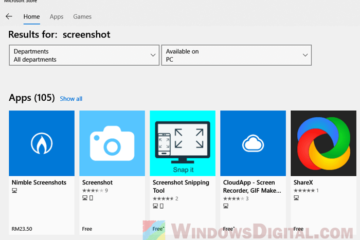 Description for sharing: If privacy is your concern, here's how you can disable the timeline feature introduced in Windows 10 v1803 April update, and stop Windows from continuing to collect your activities from your PC.